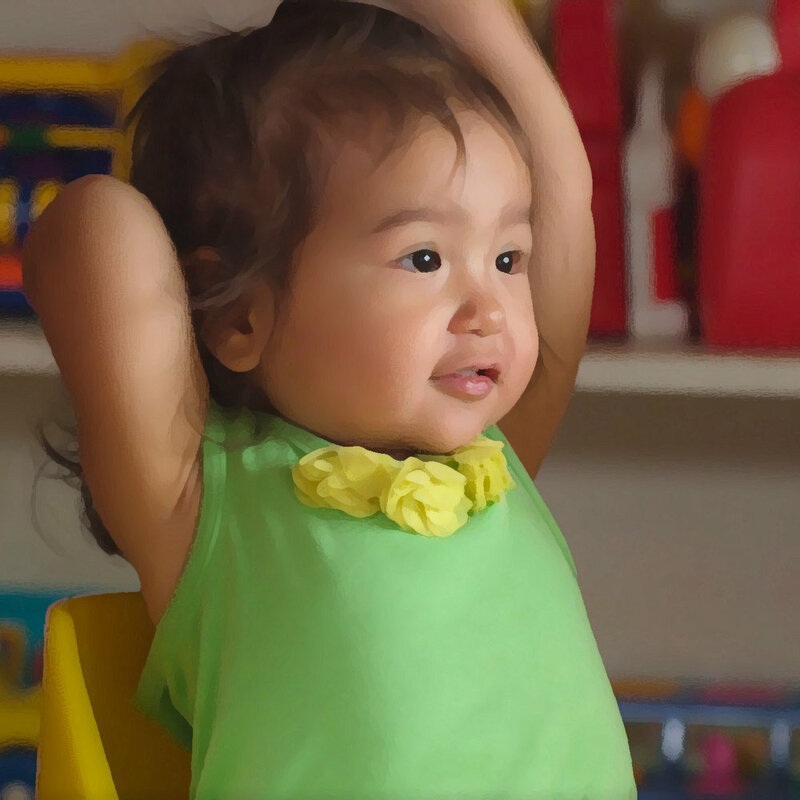 Teachers in the Circus Room recognize that these pre-Toddlers are entering a crucial learning period, that their curious minds are eager for new experiences and all of the fancy sensations which come with them. At the same time, our teachers are prepared to handle the moments when these experiences become overwhelming, which within this age group, is to be expected frequently, which is why Mighty Minds Teachers are trained to address each child’s tears with comfort, listening, and communication. Our teachers deliberately create stability and routine as well as a consistency in learning, for example, by playing the “Clean Up” song when it is time to put toys and materials back in their proper places. In the classroom, Circus Room students are engaged by teachers who review the alphabet, numbers, and colors, increase their exposure to languages through story time and basic communications (“¿quieres agua?”), and guide their students in exploratory playtime where the kids can experience independence and practice working with other children, addressing common conflicts like sharing and frustration. A typical week begins with a school-wide theme, for example, “St. Patrick’s Day”. In the Circus Room, this theme will be woven through the classroom and playground activities. On Monday, children might learn how to say “S” for the word Shamrock. Children may sing “Five Green Shamrocks” on Monday, while Tuesday’s art project involves making a shamrock with green-colored sugar. Wednesday would include chasing rainbow color ribbons, with fun sensory bags mixing blue and yellow paint to create the color green on Thursday. Counting felt shamrocks to stick on a flannel board would conclude Friday’s math.